For the last five years, conservative lawmakers have rallied behind efforts to close the Export-Import Bank, and were successful in 2015, albeit briefly, when the bank’s charter lapsed for the first time in its history. But now, with President Donald Trump in the White House, conservative lawmakers may have a chance to shutter the bank for good, or at least keep it operating with limited authority. There is just one problem: Trump has sent mixed signals on where he stands on the Export-Import Bank, and though his budget director and advisers oppose the agency, Trump signaled early in his administration he could be swayed. 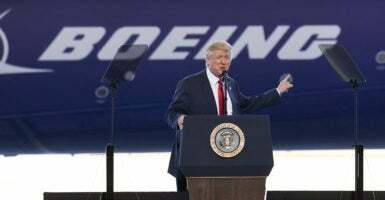 Experts like Katz braced for Trump to make an announcement about the bank’s future during a speech last month at a Boeing plant in South Carolina. The company is one of Ex-Im’s biggest beneficiaries, and the agency has earned the nickname “Boeing’s Bank” for the amount of taxpayer-backed financing the aerospace giant benefits from. But Trump noticeably left any mention of the 83-year-old agency out of his speech, which delighted and surprised those who oppose the bank. “What’s clear is that something’s happened,” Veronique de Rugy, a senior research fellow at the Mercatus Center at George Mason University, told The Daily Signal. “The president has to be bothered by the amount of subsidies we’re giving to other countries,” she continued. Ex-Im provides taxpayer-backed loans and loan guarantees to foreign companies and countries for the purchase of U.S. exports. Its supporters believe the bank creates jobs and helps small businesses compete in the global market. But opponents believe it’s an engine of cronyism and corporate welfare. The 83-year-old agency’s future has been at the center of disputes in Congress over the last five years, and though there is a Republican in the White House, conservative lawmakers aren’t planning to stop fighting for it to shutter. Trump’s stance on Ex-Im, meanwhile, has been contradictory. In an interview from the campaign trail with Bloomberg in August 2015, Trump called the bank “feather bedding” for politicians and some companies. But during a lunch with Senate Democrats at the White House last month, the president seemed to warm to the idea of keeping the bank intact. Trump told Sen. Heidi Heitkamp, D-N.D., he planned to nominate someone to serve on Ex-Im’s board of directors, a move that would signify he’s open to restoring the bank to its full authority. “To support the economy and boost American manufacturing jobs, enabling the Ex-Im Bank to work is a critical step,” Heitkamp said in a statement after the meeting. “It’s great news he agreed and said he would nominate someone to serve on the Ex-Im board very soon so the agency, which has been stalled for a year, can fully function and keep supporting American workers and small business, including many in North Dakota, just as it has done for more than 80 years,” she continued. Since his meeting with Heitkamp and other Senate Democrats, though, Trump appears to have walked back his commitment. Last week, the president withdrew the nomination of Claudia Slacik to serve as a member of Ex-Im’s board of directors. President Barack Obama nominated Slacik Jan. 5. Furthermore, Trump and Vice President Mike Pence have surrounded themselves with advisers and staff who oppose the bank. 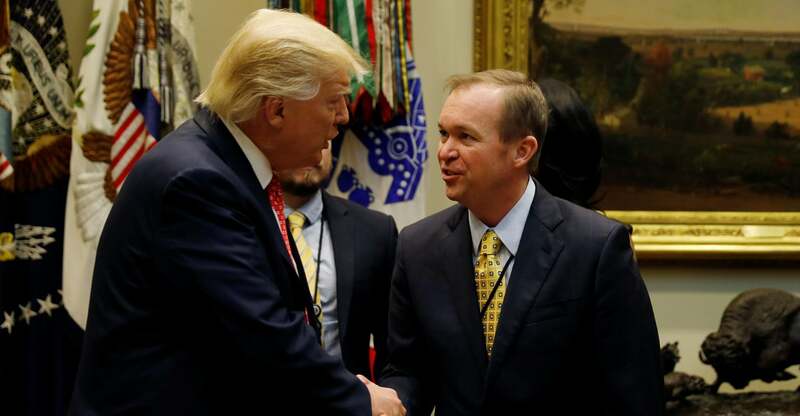 The president tapped Mick Mulvaney, a former congressman from South Carolina, to lead the Office of Management and Budget, and Marc Short, former president of Freedom Partners, to work as his director of legislative affairs. Additionally, Pence selected Mark Calabria, the former director of financial regulation studies at the Cato Institute, to serve as his chief economist. Short and Calabria opposed the bank when working for the Koch-backed Freedom Partners and Cato, respectively, and Mulvaney was one of the loudest bank opponents while serving in Congress. The former South Carolina congressman introduced five amendments to a highway funding bill in 2015 that placed further restrictions on Ex-Im financing, but they all failed. As budget director, though, Mulvaney has already made Ex-Im a target. Last month, The New York Times reported that the Office of Management and Budget drafted a “hit list” of federal programs that could be eliminated, which included the 83-year-old bank. “They are drafting a budget, they are talking to members of Congress and other interested parties about funding levels and such, but we’re not at a position to go yet,” Spicer said. But Treasury Secretary Steve Mnuchin suggested that under the Trump administration, Ex-Im may stop extending loans and loan guarantees to large companies. However, Mnuchin said his agency may not eliminate Ex-Im financing altogether. “To the extent we think the Export-Import Bank can be competitive in helping small and medium-sized businesses export, that’s something that is important,” he said. The bank’s opponents have derided the bank for helping only large companies like Boeing and General Electric, which benefit from large percentages of Ex-Im financing. But Katz said even if the bank shifted its focus to small and medium-sized businesses, as Mnuchin suggested, a different set of problems would arise. “For every small business that benefits from an Ex-Im subsidy, there are going to be businesses that are put at a competitive disadvantage,” she said. Ex-Im provides taxpayer-backed loans and loan guarantees to foreign companies and countries for the purchase of U.S. products. After a brief lapse in its charter in 2015, the bank has been operating with limited authority because of vacant seats on its board of directors. Ex-Im’s charter requires the board to have a quorum—three of its five members—to approve transactions of more than $10 million. But after Congress reauthorized the bank in December 2015, it’s been hampered by empty board seats. Obama nominated Republican Mark McWatters to fill one of the positions on Ex-Im’s board last year, but then-Senate Banking Committee Chairman Richard Shelby, a Republican from Alabama, blocked the nominee from advancing to the Senate floor. 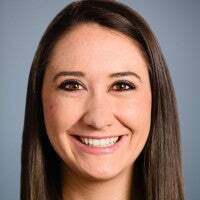 Melissa Quinn previously worked for The Daily Signal as a senior news reporter.